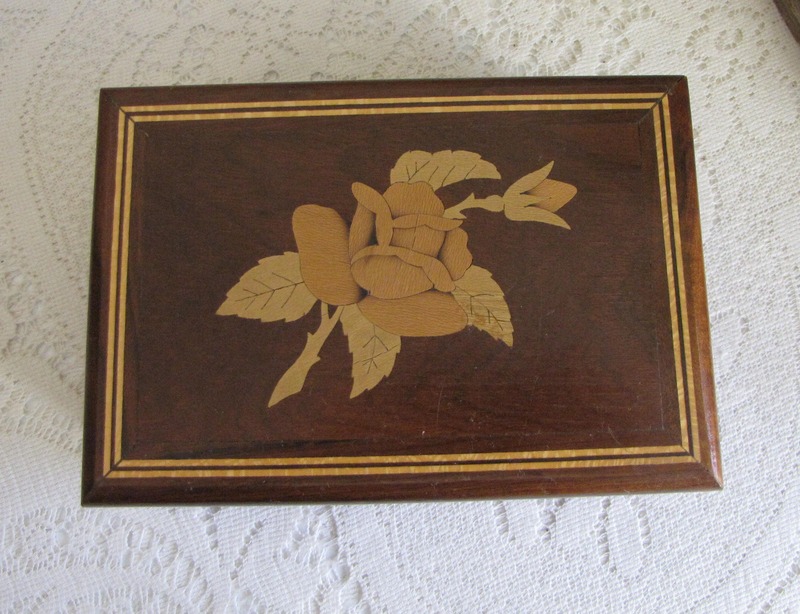 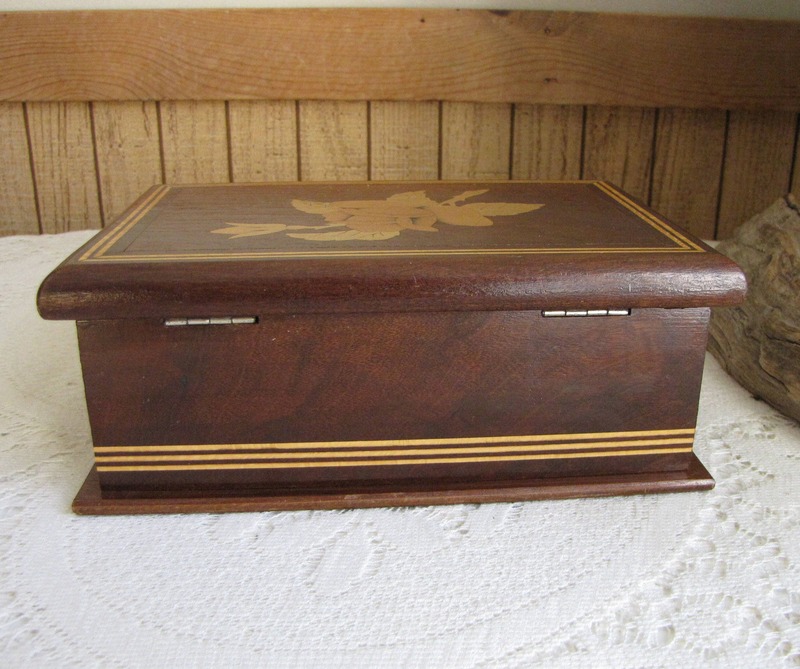 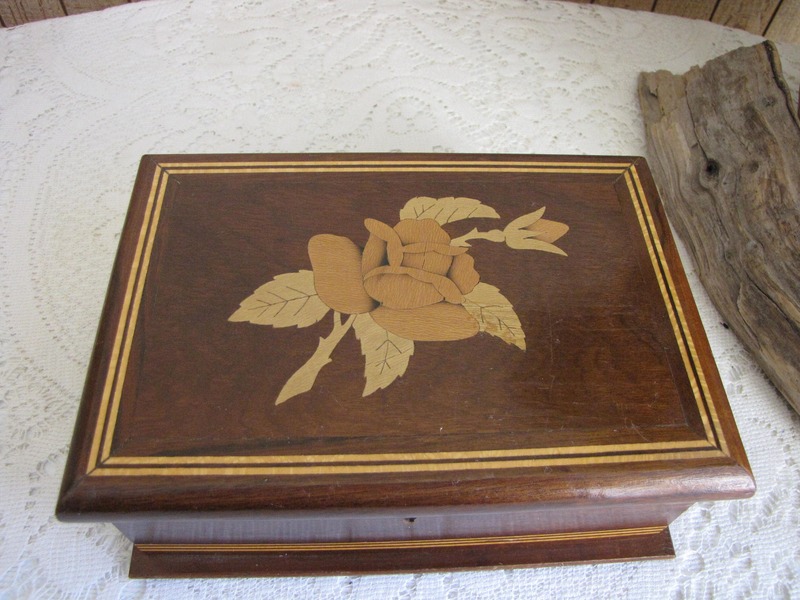 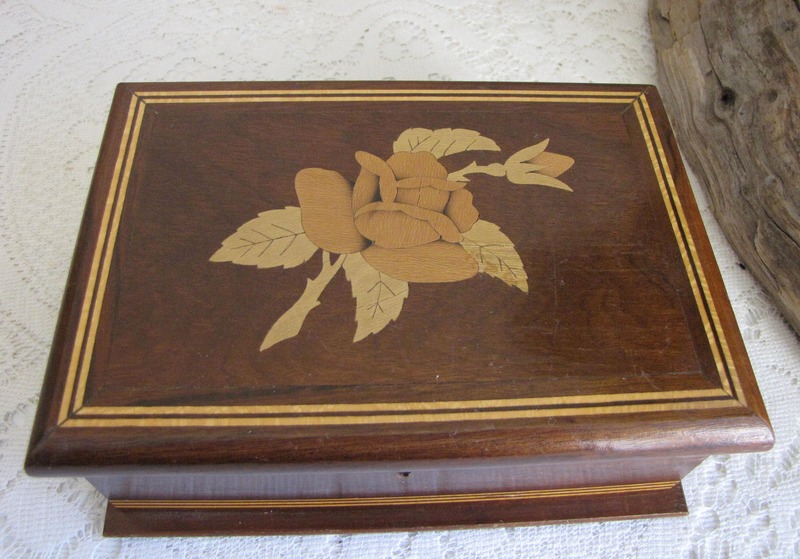 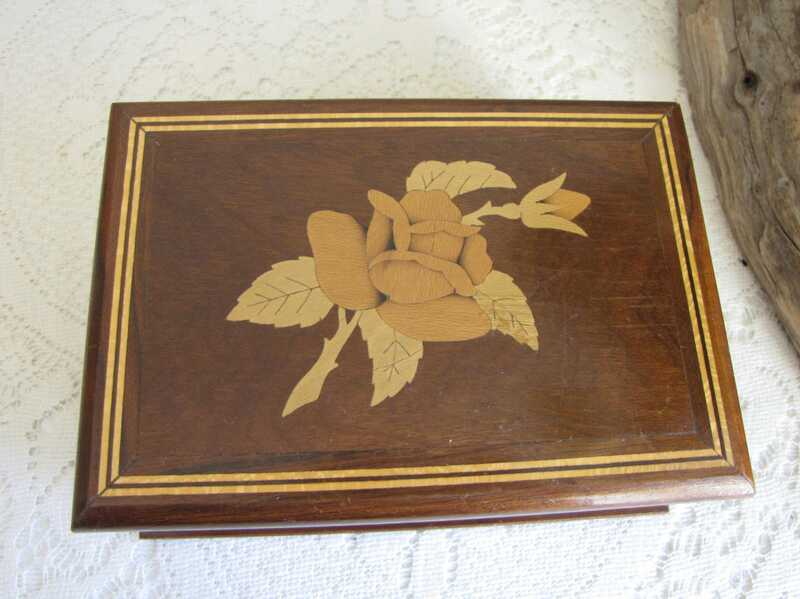 This is a wood jewelry box that has an inlayed rose design on the top. 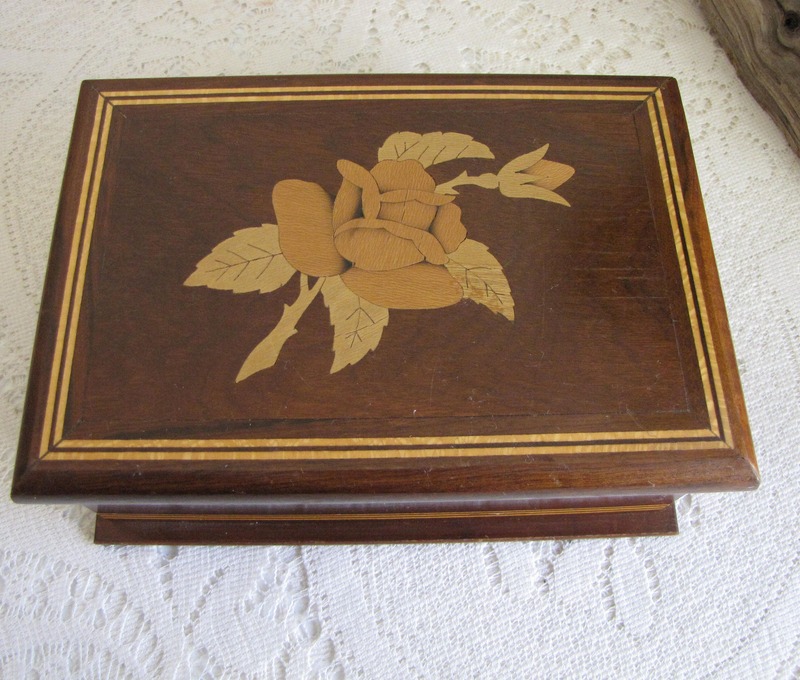 The inside is covered with gold velvet and is in very good vintage condition. 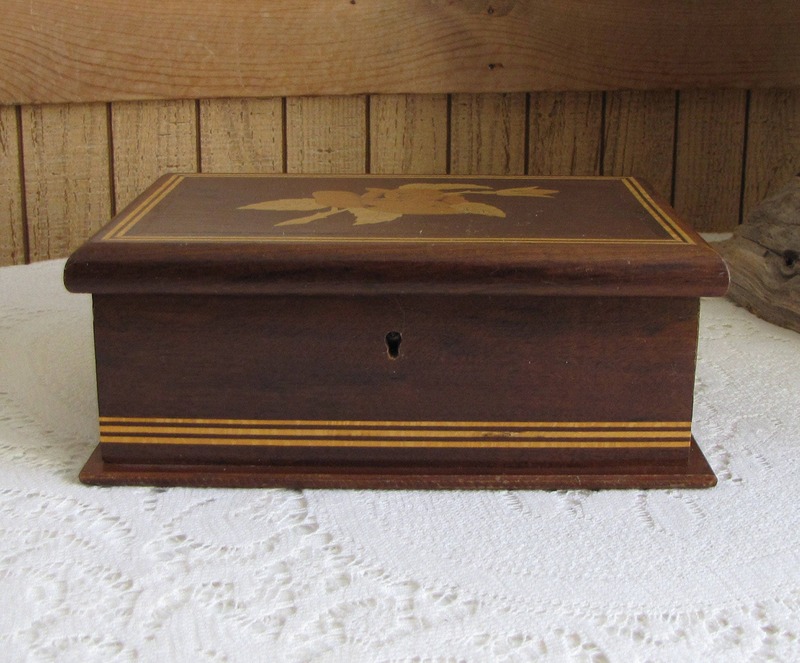 The box has a lock but No key. 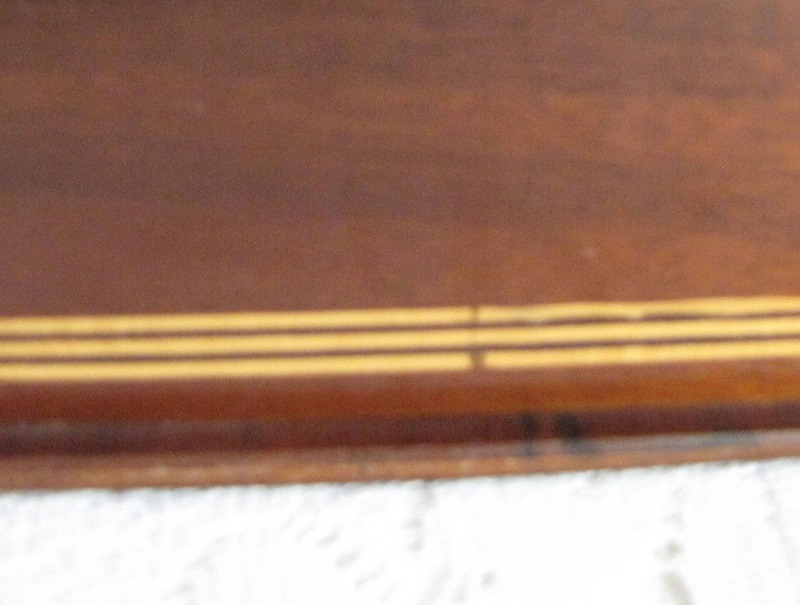 The wood has some scratching on the painted stripes on the bottom on one side. 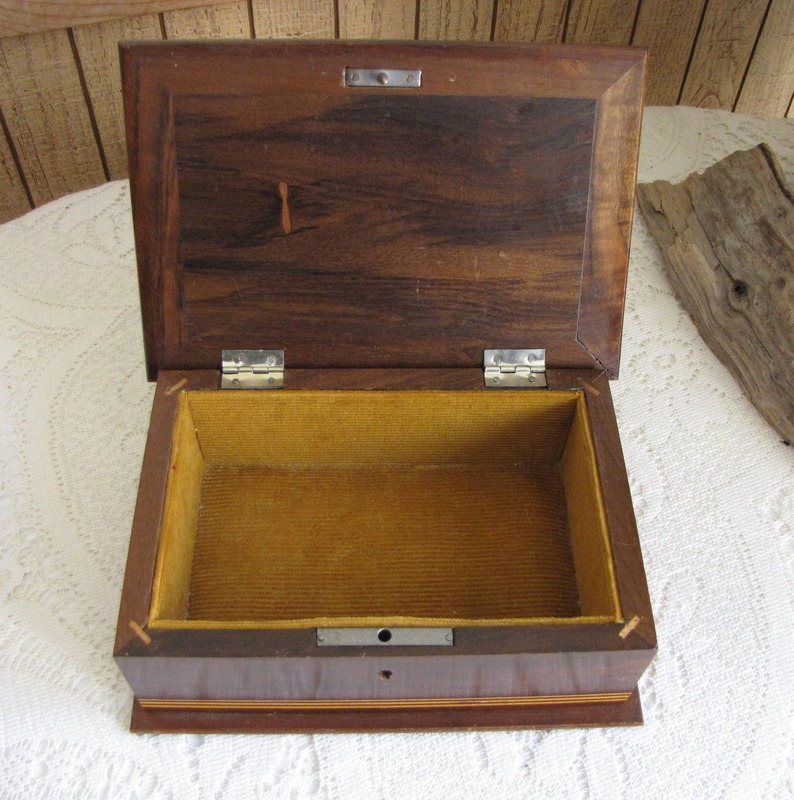 The box is sturdy and has no chips or dents. 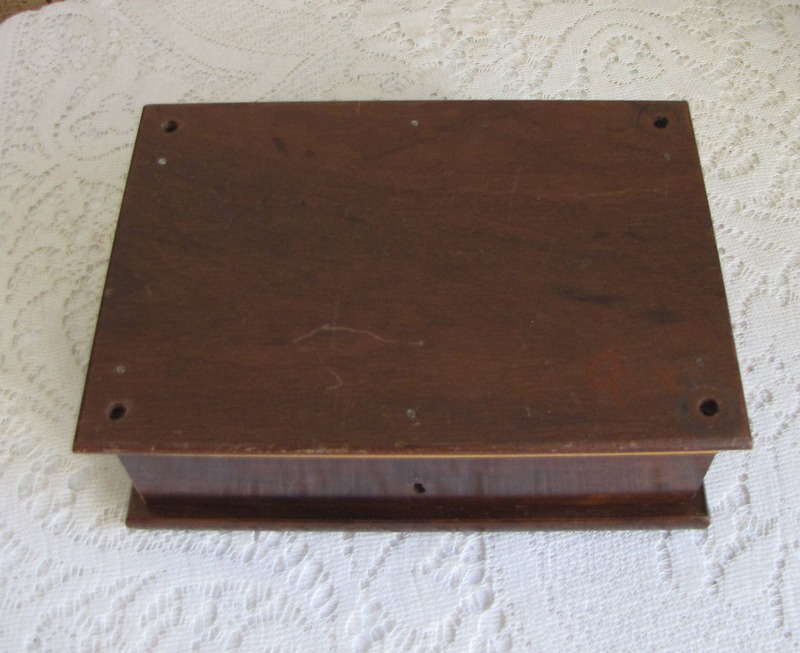 This jewelry box measures 3 inches tall and is 7.5 x 5 inches.